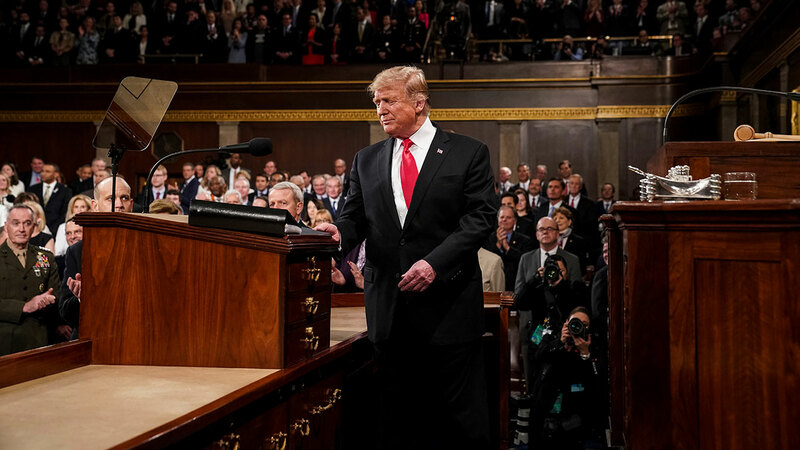 Trump’s State of the Union speech will not help him politically, but it certainly will not hurt him either. The State of the Union is an address that the President gives to a combined gathering of the House of Representatives, the Senate, the President’s Cabinet, and the Supreme Court; all branches of the United States Government. Behind the President sits the Vice-President (the President of the Senate) and the Speaker of the House (the head of the House of Representatives). President Trump originally intended to give his speech in January, however, the Speaker of the House, Nancy Pelosi, a Democrat, took back her invitation to the President to speak because of the government shutdown. This is Trump’s first time addressing a divided Congress. Democrats hold a majority in the House of Representatives, and Republicans hold the Senate. The President had strong words for the Russian Investigation run by Robert Mueller looking into his campaign ties with the Russian Government. He claimed that America was wasting time and money on the inquiry and called it “ridiculous.” Speaker Pelosi scoffed at his comments. To neither parties’ surprise, the President once again called for a wall on the southern border. He asked Congress in his speech to come to a deal before the second government shutdown begins on February 15th. There were two occasions where the Democrats groaned at comments the President made. One on the caravan of immigrants traveling north to America, and another on the idea that the nation would have been at war with North Korea if Hillary Clinton had won the 2016 election. Nancy Pelosi both times held up her hand towards her party to quiet them. 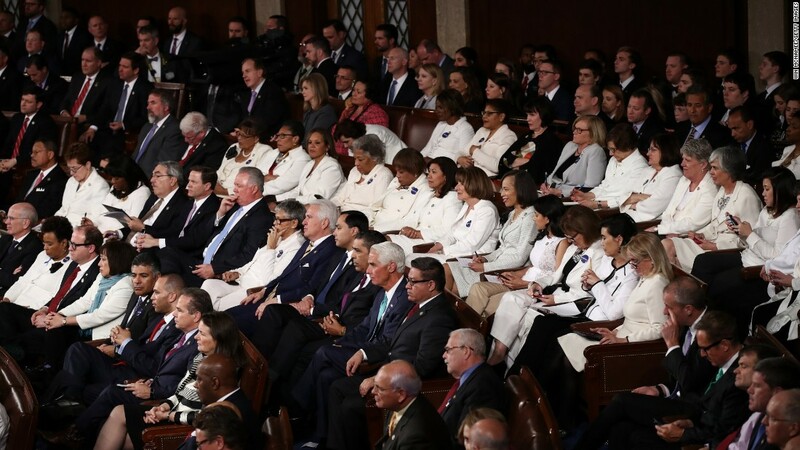 Many of the Democratic women wore white to recognize the 100 year anniversary of the passing of the 19th Amendment which gave women the right to vote. Trump acknowledged the new women elected into Congress in 2018 which was followed by roaring applause and chants of “USA! USA!” throughout the House. The President promised to include massive funding on research for HIV/AIDS to eliminate the disease within 10 years. Trump appealed to Democrats when he stated that he would include paid-family leave in his new budget which would allow mothers and fathers to take paid time off from work when a child is born. He attracted the Democrats when he promised to lower the cost of drug prices and expand transparency with pharmaceutical companies. In addition, Trump promised to back out of the war in the Middle East. Each of these statements was met with standing ovations by Democrats and not as much applause from Republicans. Finally, Trump consistently appealed to his own Republican base. He praised oil production, called on Congress to pass a law banning late-term pregnancy abortion, called for expansion of the military, and attacked socialism in the United States. However, one comment he made gained little support from both parties: he announced that he would be backing America out of the INF; a nuclear missile treaty with Russia. It is common for the opposite party of the President, shortly after the State of the Union, to select a speaker to respond to the President’s speech. 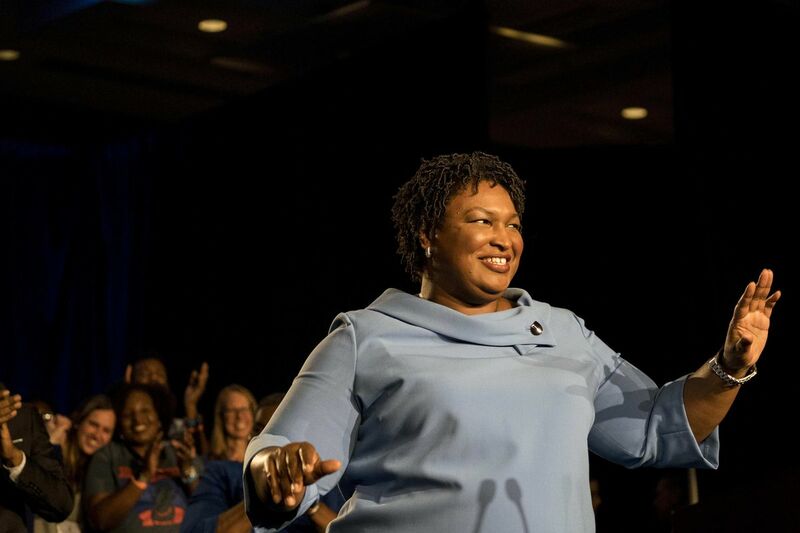 The Democratic party chose former Georgia gubernatorial candidate Stacey Abrams to deliver the Democratic response. She called for unity in the United States while also calling out President Trump on the government shutdown, the White House’s inaction on gun control, the Republican Tax Bill which she claimed benefits the wealthy, and also called on America to expand Medicaid, expand and defend the right to vote, and to hold racism and racists accountable for their actions. She made one important note after this, however. After her comments, she said, “I still don’t want [the president] to fail.” She asked Democrats to support the President to do what they believe is right. She asked her party to not wish that he is unsuccessful in solutions that will ultimately benefit the country.